From the hilarious anime and manga Azumanga Daioh, we have this cute Azumanga Daioh keychain of Maya and her mother, in Neko Koneko style! This Azumanga Daioh keychain has a 1 1/4 inch tall vinyl charm of neko koneko Maya and her mother, as well as a 3 inch vinyl decorative strip with the Azumanga Daioh logo. 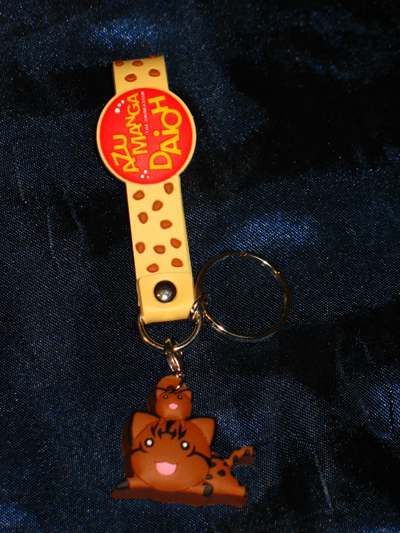 This Azumanga Daioh keychain comes with a loop hook, making it completely ready to use to hold your keys or whatnot.